I've had a headache for about a week now. And I think I know why I got it. I mean, I don't know the medical reason I have it, but I do think I know the spiritual reason. See, I might usually get two or three headaches a year. I also never get sick...maybe twice in the 17 years I've been self employed. Part of it is that I'm not exposed to other people and their germs. But part of it is that I just don't get sick. Even when I worked in an office I didn't get sick much. Back when I worked in an office, though, I would call in sick just to have days off...haha. And when I did actually get sick, I would stock up on Campbell's Chicken Noodle and Haagen Dazs, as though they were the miracle cures of the Gods. Then I would indulge myself fully in my illness. In short, I took care of myself. And, in fact, I used to look forward to getting sick because of both the rest and the menu. But when you're self employed, things are different. You don't call in sick. You work through it. You don't even get snow days. And, if you're like me, you're lucky if you even get two weeks off a year, much less the month I'd be entitled to if I were working for some other company this long. When you're self employed, you're not paid for the days you take off so you see them differently. So after five days of having this headache, and having tried different pain medications to no avail, I decide the headache was either weather related (we're having an odd cool patch here), stress related, dehydration related or maybe a migraine. But on Friday night, I found myself going to a meditation thing in rush hour about an hour away anyway. And I think "as long as I'm out, why not leave a few minutes early and see if I can get my new phone set up?" So there I am, pressed for time, in rush hour, trying to fit something extra in along the way...there I am putting myself in a stress situation when I might have a stress headache. And I'm very thirsty and hungry, but I don't have time to stop. And as I'm driving, I'm thinking, "what am I doing to myself?" I'm also thinking I should stop for water, but now I'm behind schedule and stressed, so I don't. It wasn't until more than an hour after I arrived at my destination that I got some water. And it wasn't until I was almost home that I finally stopped for the Excedrin Migraine that eventually took most of the headache away. I still have the headache today, but it's much more tolerable with the Excedrin in me. The point is that I put everything in front of my self care. I find myself doing this all the time. There's always just one more thing I can do before I take care of myself. Then I feel guilty for taking care of myself. Like today I ended up sleeping most of the day instead of cleaning house. I have someone coming over this week and would like the house to be extra clean (which is still cluttered and dusty by most peoples' standards...haha) but that won't happen now. And the dogs didn't get the attention they deserve and they don't care why. They just want the mommy that's always there. So I feel bad I can't be there for them, as I should. It's easy for us to forget our self care when we're used to all the other agendas we serve in our lives. I don't have a husband and kids, but that doesn't mean I don't serve a bunch of agendas that aren't fully mine. I serve my clients' and my dogs' and my house's and my yard's agenda before I serve myself. While all of those things also serve me in some ways—just as a husband and kids would—they're not just for me alone. It's the "me alone" thing we often neglect. 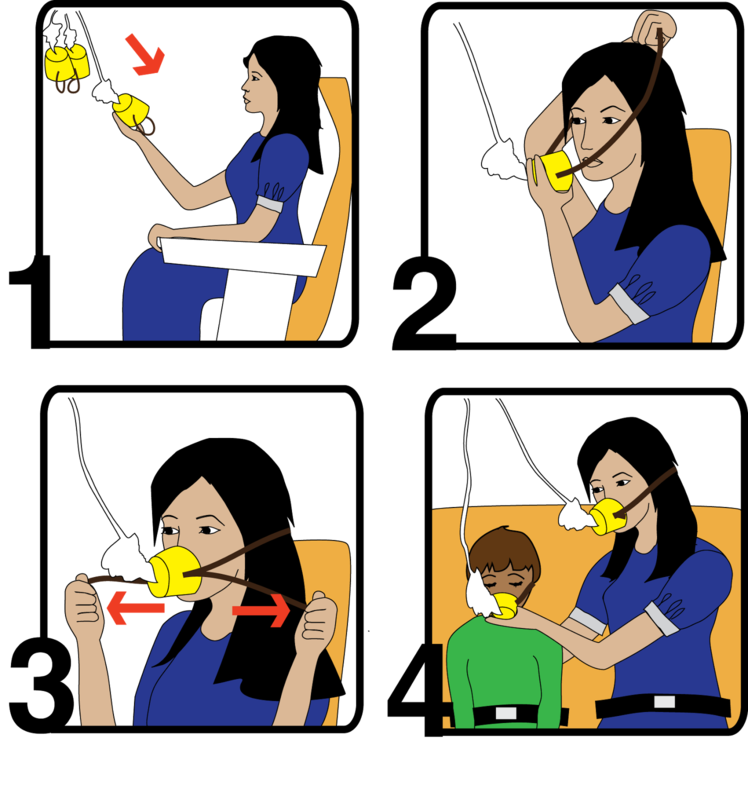 The metaphor of putting the oxygen mask on yourself before you help others applies here. Back before I had dogs and a house and there was only me to serve, I got it. I bought the chicken soup and wallowed in my misery. And it was good. So I think that's part of why the headache has come to me this week. To remind me to put the mask on myself first and not feel bad about it. I've been having clues like this for a long time...exhaustion and such. And I just keep on truckin'. I think I just underestimate what it takes to live my life, and I'll bet you do, too. But, sadly, I have to remember I'm not in my 20s anymore. And I'd hate to think what would happen if I continue on this way. The consequences could be fatal. So I slept all day today and didn't push too hard yesterday, either. And I might call in sick for at least part of tomorrow. I guess I can take a hint after all.